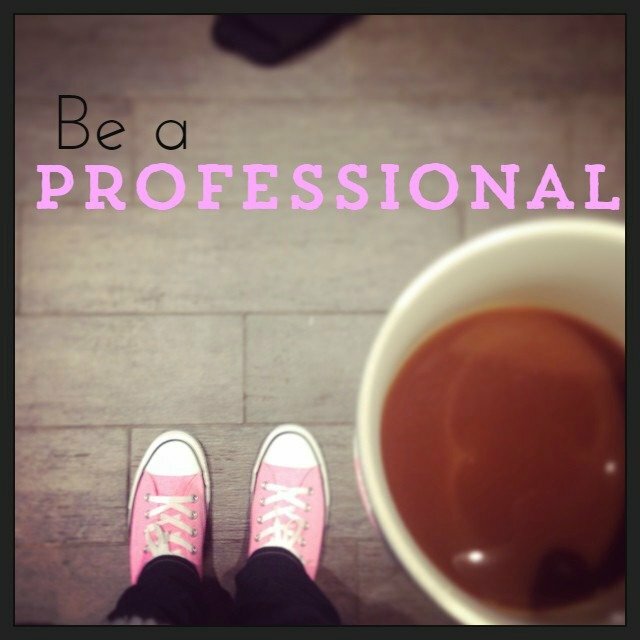 Last week I read several great posts about professionalism in our craft world. Abby wrote about the changes to the professional organization CHA to include bloggers and in reply Kim wrote about the importance of being a professional in this industry. It might seem unrelated, but I found Diane's post answering if it's “worth it” to write a craft book and Abby's post about what fabric designers earn really seem to me to be even more proof of the importance of treating this, your career as a craftsperson, as a professional. Let's discuss what this means for you. First, there's an important distinction in this conversation about bloggers and the trade organizations, between Professional Bloggers and Professionals Who Blog. Professional Bloggers make their money from their blog, they sell the eyeballs (views) of their blog to advertisers. Professionals who Blog make their money from either a service or product that they sell, and their blog is one part of the Customer Path for their buyers – it helps them connect in a deeper way with the people who buy what they sell. 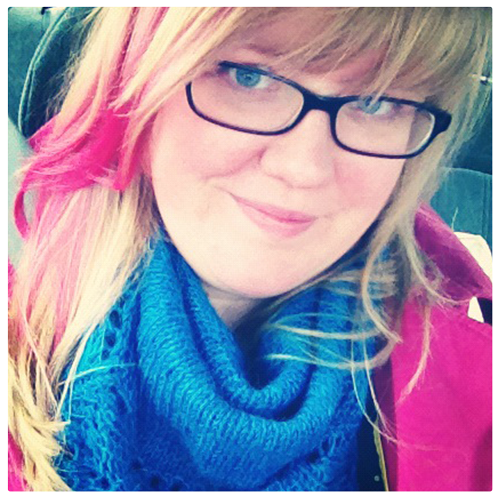 I work exclusively with people who sell something (whether they blog or not! ); my people sell their writing to magazines, their dresses to buyers, their yarn to knitters. Now, these people (you!) don't always think of themselves as “professionals.” In fact, many of you came to your business first as a hobby and then started selling some stuff and that's where you are now. Some people don't care to go beyond this, and it's a fun hobby and gives them some extra spending money. That's perfectly fine. I work with people who very much want to go beyond this – makers who want to build their craft into a sustainable business that supports their creativity. In other words, they want to have a career in this field. They want to become a professional. I've found, by working with people as they make this transition from hobby to career, that there is a moment where it happens. But it's not where you might expect it. The moment is not when they make their first or fiftieth sale. It's not when they make a certain dollar amount. It's not when their work is featured in a magazine. The moment you flip from hobbyist to Professional is the moment that you decide to. The moment you commit to doing the work, to making the plan, to learning what you don't yet know. If you feel fuzzy and you're one of the hundred of people who email me asking “Could this be a business?! Can I do this? !“, that's OK! Spend some time thinking about your life and what you want from it and go with your gut (not with what looks awesome). Once you've made this flip, it changes your decision-making process. Instead of wanting to write books or design fabric because it seems professional, you'll need to research what that will actually mean for you and your goals. (That's why I love posts like Abby's and Diane's that draw back the curtain.) Instead of saying yes to every opportunity, a Professional gets clear on what she really wants and then pursues a path that will get her there. I'm absolutely fascinated by what happens after the flip. The systems you build, the decisions you make, the work you have to do. That's why I make tools and classes for the post-flip journey (which lasts the rest of your life). I'm working on a new thing to support those immediately post-flip, who are ready to go from “I have a shop” to “I have a business.” I'm opening it first to email subscribers on Nov 20th (and everyone who joins early will get a free Holiday Sanity class!) and then to the whole world on December 2nd. It will begin January 1. If it sounds interesting, sign up here to be the first to find out (and have lots of pre-holiday time to think about it). Confession: during this session of the Effective Blog class, I've been following along with the students and doing the homework myself. You see, I'm kinda ambivalent to blogging, but I love experimenting. But how I feel about blogging is old stuff. It's not new or based on the current reality. I need to experiment, to see if everything is true or not. The other day in class, Diane mentioned that she likes to do 30-day experiments to see if something works or not. That, combined with this post from Elise, combined with the excellent stuff I learned during our live discussion, inspired me to get started now. So I'm doing a public 30 day experiment, right here. And I'd like you to join me. I didn't plan on saying anything about it, but I'd like to have some company. And experimenting is better when we do it together. I'd love for you to join in with me, to hold your own experiment! 1. Set a thesis. 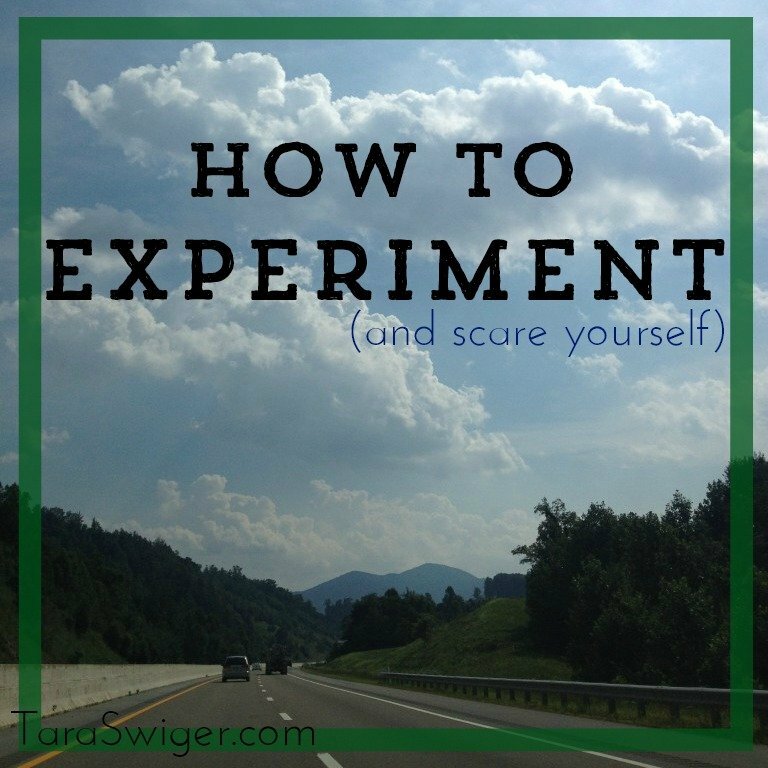 What do you want this experiment to do for you? What do you think will happen? 4. Review the results. What worked? What didn't? At the end of the experiment, make notes about the results, how you felt, and what you learned. Use it to set up your next experiment! You can use this to experiment with anything (going vegan, trying a new marketing channel, increasing sales, etc). The really important thing here is to experiment with things that you expect a clear result from in the time allotted. For our experiment, we're going to start today, and stop on 9/3. That's not very long, so pick something do-able for that long, and set your goal small. Very small. Even smaller than that. Got one? Ok! 3. Support systems in place: Time to write every morning, creating a list of possible topics to carry me through the whole month, scheduling the ones I feel inspired to write. (In other words, my classic non-planning planning.) I'll talk more about the tools I use later. *This goal isn't that business-y, because I'm plenty busy with current clients. But what I've learned through building the Starship is that there's an amazing private, deep community there, and I'd like to supplement that with a broader, more public community outside the Starship, so that everyone can experience at least a bit of the magic of exploring with others. In order to do create that, I have to stop doing all my stuff in the privacy of one-on-one and Starship work, and start bringing it here. That's the reason for this experiment! **This week, that post would be this, right here! That's my experiment. Would you like to join me with your own? To join in, just leave a comment with your experiment (including thesis, parameters, etc), and we can check with each other using #experimentFTW on Twitter or Instagram. Prefer to keep it private? Email me! On 9/3 we'll be back here with a new experiment!